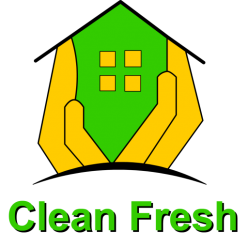 Clean Fresh UK. Dust Mite Control, Carpet & Sofa Cleaning. Issues with Dust Mite Control? Dust mite control is our business. We know what mayhem these critters can cause. Allergies and asthma can be brought on by even the smallest infestation. If you sneeze in the mornings, you may want to get your mattress and your pillow checked out. The dust mite has an extroskeleton that can also cause problems to those with allergies. The house dust mite will poop at least 2000 times over it’s 10 week long lifespan. Not very nice. All those contaminants, quite often in the bed or bathroom. Yuck! Dust mites love to live in mattresses, upholstery, drapery, carpet and bed linen. Pillows are a favourite for them. Anywhere they can eat dead skin cells from humans is popular. It’s possible to find anywhere between 100,000 and 10 million in the typical mattress. These unsanitary insects can also be at the root of some cases of bronchial asthma. Typical signs of dust mites include sneezing, itchiness, itchy or reddening eyes and a dripping nose. Rest assured that you have come to the right place as our service will kill 100% of dust mites. We do a surprising amount of dust mite cleaning for our clients – even though it’s quite unlikely that your neighbours will tell you that they have had us in – they most likely have. Our cleaning method is to use a steam cleaner that will not only kills the dust mites but will clean away their bodies and their droppings. Call us now to rid your home of the critters with our dust mite control service.